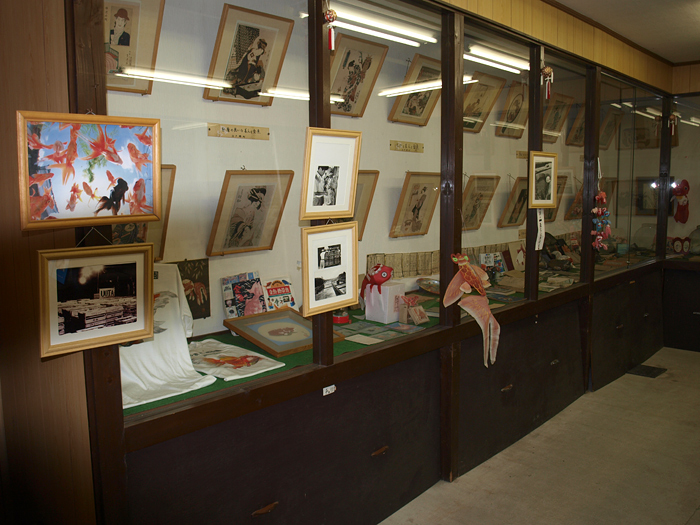 In 1982, Former Representative Masaji Shimada founded the Koriyama Goldfish Museum at his own expense, as “a collection of picture books with actually swimming goldfish.” Previously, there had been no tourist spot in Japan where visitors had been able to view goldfish throughout the year. This museum exhibits about 40 kinds of goldfish, including ancestors and high-quality goldfish, as well as precious varieties that have been saved from extinction thanks to the efforts expended by the associations of a small number of goldfish lovers in various parts of Japan. 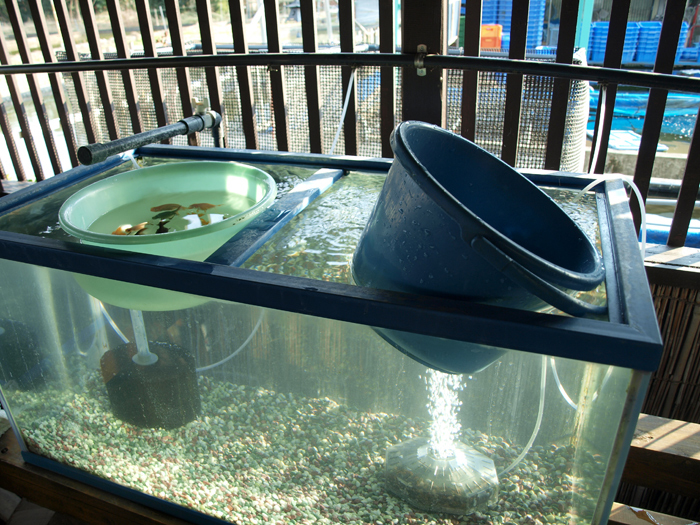 With the improvement of breeding techniques over a long period of time, obsolete tools for goldfish breeding have been replaced with newly invented ones. 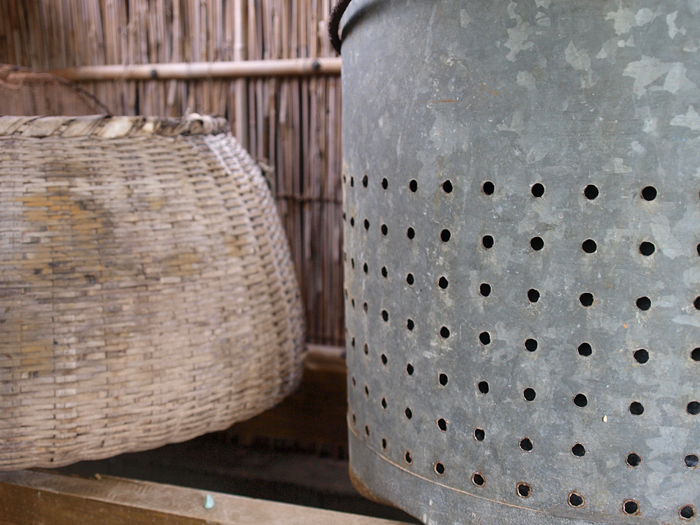 Here, disused breeding tools are exhibited and preserved. Originally cherished only by the upper classes, goldfish began to be bred as pets by common people in Japan in about 1800. In step with this development, goldfish came to be shown or written about in Ukiyoe color prints, Haiku poems and novels. Also, goldfish was often depicted on ceramics and folk handicrafts. 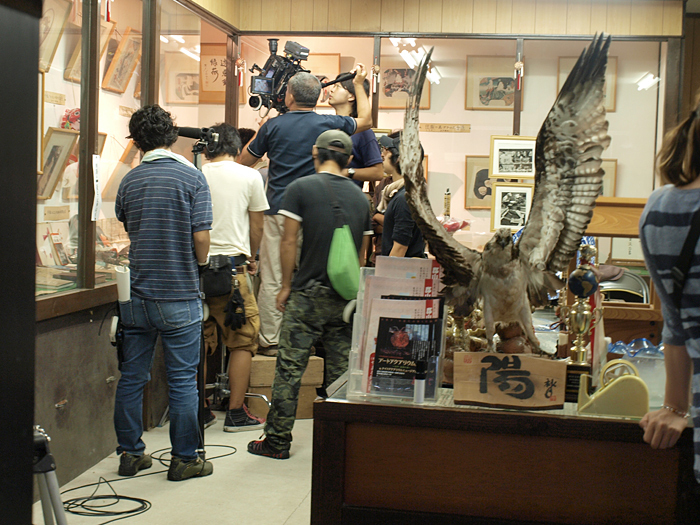 Most of the exhibited old books and Ukiyoe are precious ones collected by the late Yoshiichi Matsui, a goldfish researcher of international reputation. 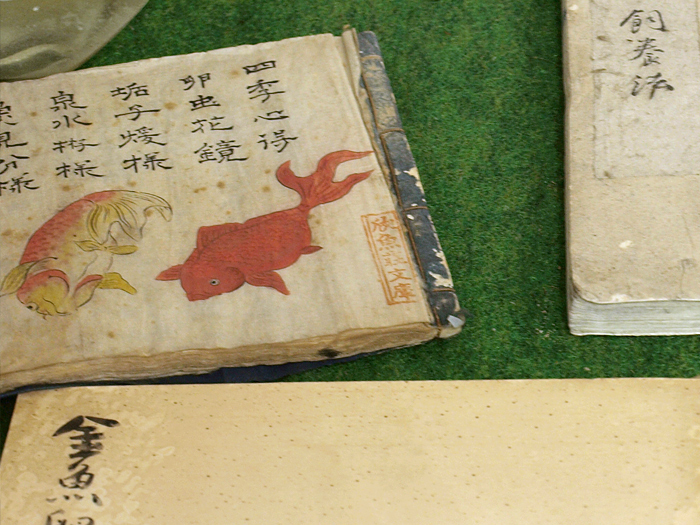 According to “Yamato Kotohajime,” (1683) an old book that includes the first article on goldfish in Japan, goldfish first arrived in Japan (specifically at the port of Sakai) from China during the Genna period (1615−1624).The exhibits include many precious books, including “Kingyo Yashinaigusa,” Japan’s first book on the breeding of goldfish; and “Kingyo Monto,” a book published in 1903 which contains an illustration of Osaka Ranchu, a now extinct variety. This life-size image represents the Kannon (the Goddess of Mercy in Buddhism) who stands by a goldfish pond and watches the growth of goldfish with her merciful eyes. The blue goldfish on the palm of the Kannon represents the wish of the image’s creator that the fish bring people happiness, just as the blue bird in the famous tale does. A fisheries scientist and fish geneticist. Born in Yamaguchi Prefecture. Graduated from the Fisheries School (Main and Graduate Courses) of the Ministry of Agriculture and Forestry in 1917. 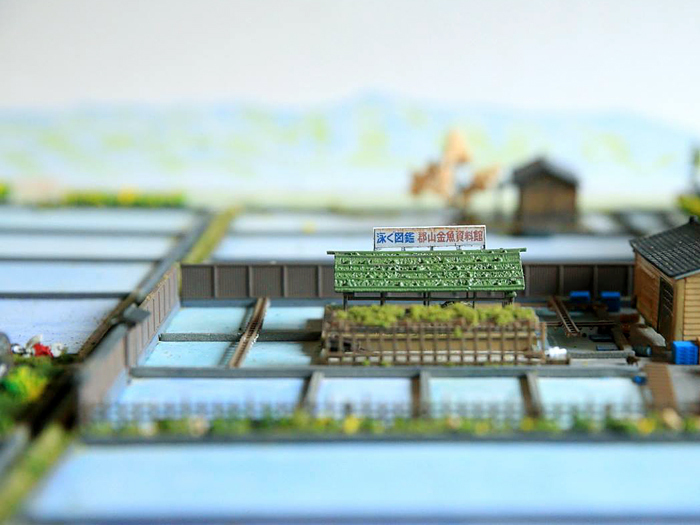 Served as engineer at the Aichi Fisheries Research Institute and the Fisheries School. Also served as technical advisor in fisheries in Mexico and contributed to international cooperation. Appointed Lecturer at the Department of Physics of Kyoto University in 1958. 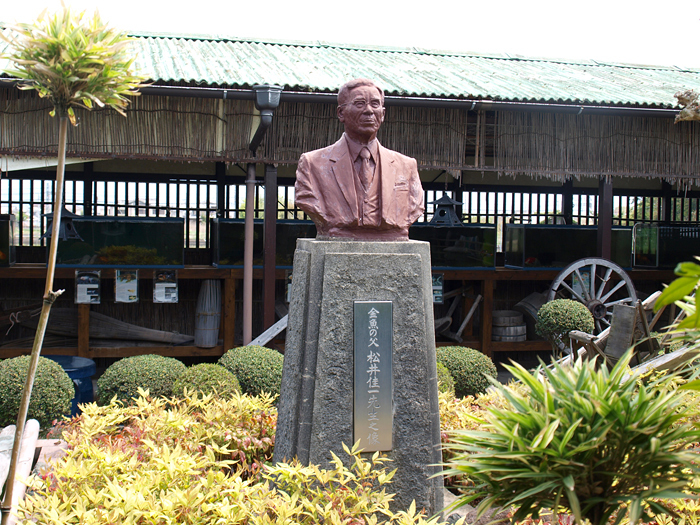 Later appointed Professor at the Faculty of Agriculture of Kinki University and Director of the Shirahama Marine Laboratory of the University. 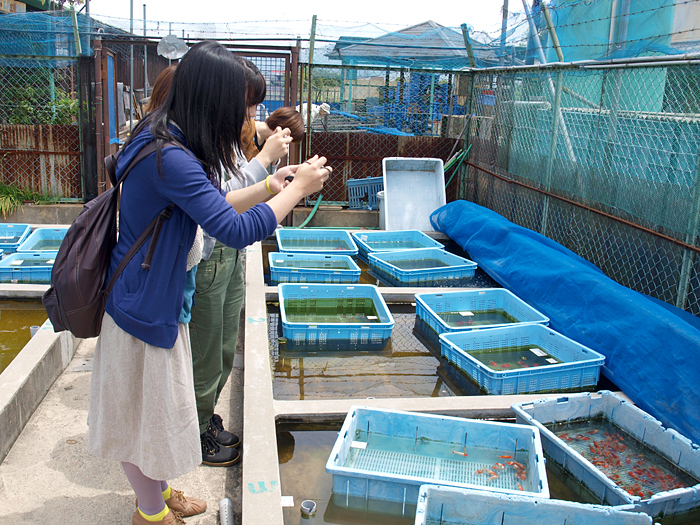 Founded the Fisheries Science Course of Kinki University. Matsui also engaged in academic activities in international scientific societies, and contributed to the promotion of fisheries and education in the postwar era. His research interests spanned wide fields, including freshwater fish and pearls. 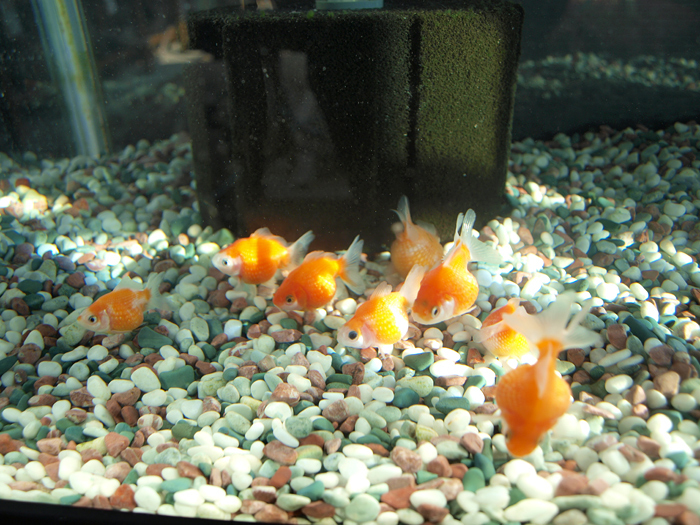 His work “A Genetic Research of Goldfish Produced in Japan” (1934) is known internationally. Also, he published many books including “The Encyclopedia of Goldfish” (1968) and “The Encyclopedia of Pearl” (1965). He collected not only books on goldfish published in Japan and abroad, but also rare books, paintings, works of calligraphy, and antiques. Mr. Matsui and students are the sakes of research of a goldfish. It came to our company. The history of goldfish begins with the red species found among a group of wild “funa” also known as Crucian Carp, in the southern district of China some 2,000 years ago. These red ancestors have developed into the goldfish we are familiar with today through selective breeding over the centuries. It is generally believed that goldfish were introduced to Japan from China in 1502, during the middle of Muromachi period. However, in those days, they were exclusively kept by the aristocrats and the wealthy as rare pets. It was not until the Meiji period, after the Edo military government was brought to end, that they became popular among common people. 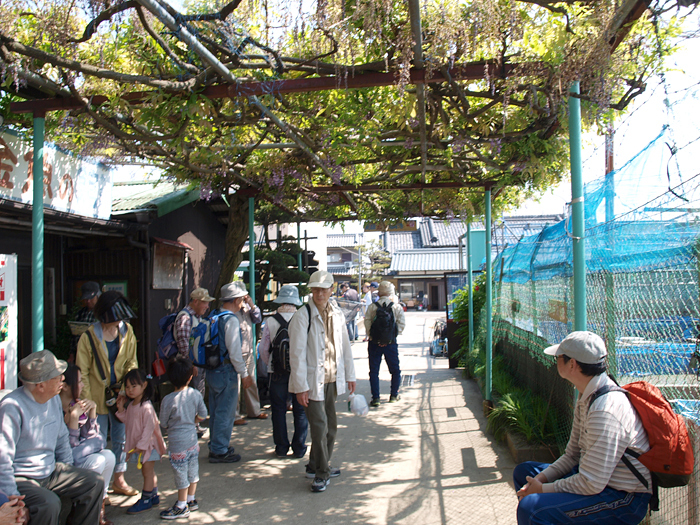 The history of goldfish cultivation in Yamatokoriyama City is said to date back to 1724 when Lord Yanagisawa Yoshisato entered Yamatokoriyama domain from the realm of Kai (present Yamanashi prefecture). Goldfish cultivation became a side job for clansmen and samurai around the end of the Edo period, and gradually developed into a thriving side business for jobless samurai and farmers after the Meiji Restoration. Of course, behind this prosperity there was the unstinting aid of Lord Yanagisawa Yasunobu, the last lord of Yamatokoriyama domain. Besides the historical background mentioned above, Yamatokoriyama has been blessed with favorable conditions for goldfish cultivation, having abundant farm ponds that provide a good water supply and high quality water that is also suitable for water fleas (daphnia) the live food for goldfish fries. Due to rapid economic growth and the progress of fish farming methods in the 60’s and early 70’s, the production rate of goldfish has increased annually, resulting in expansion of the market to foreign nations including western countries and Southeastern Asia. 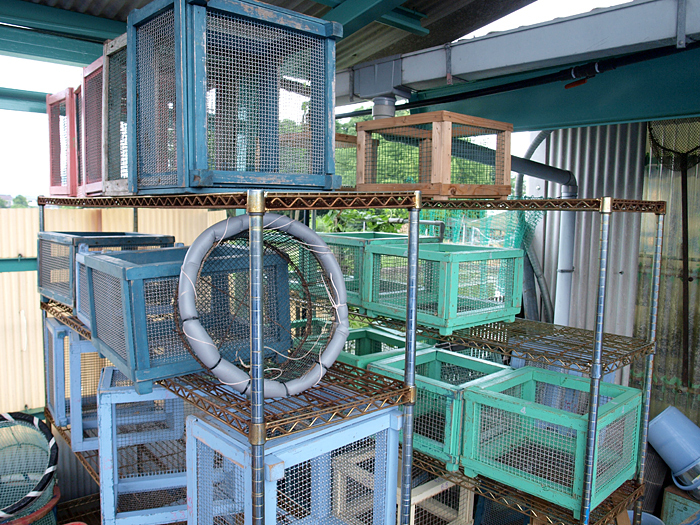 Although production increase has dropped recently due to environmental damage such as water pollution caused by urbanization, Yamatokoriyama still has nearly 60 goldfish farms with approximately 90ha in land size. 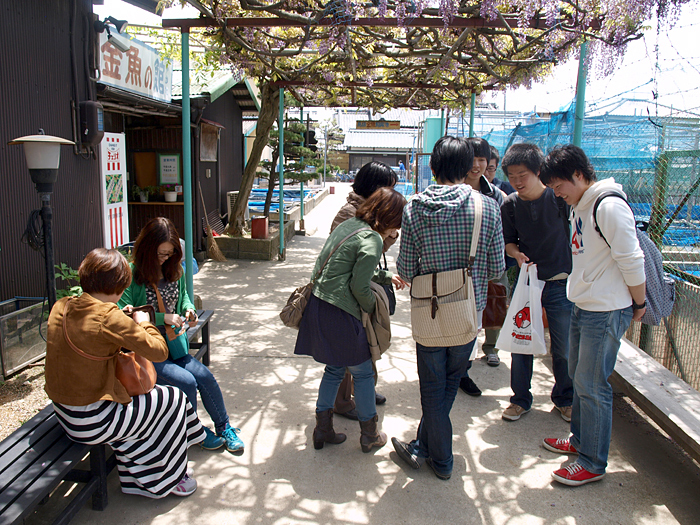 Koriyama sells about 70 million goldfish and 300 thousand colored carp a	year. 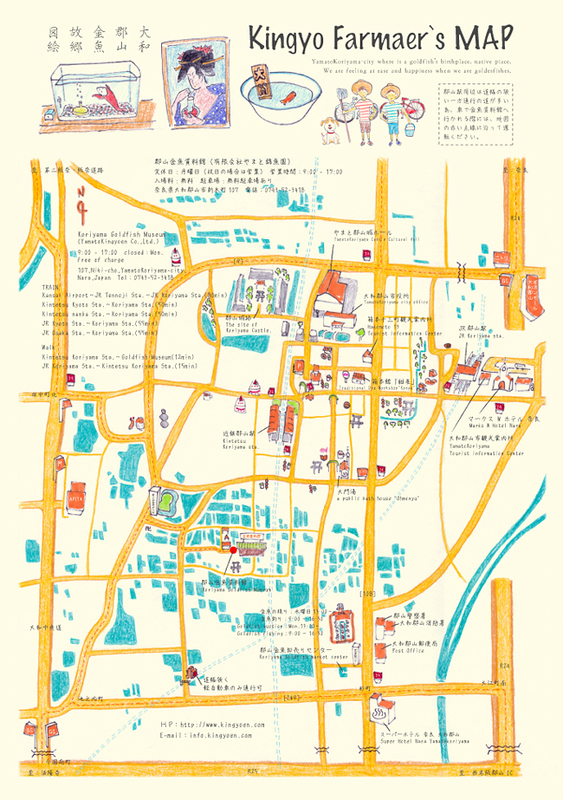 Koriyama Goldfish Museum - YAMATO KINGYOEN CO., LTD.
107 Niki, yamatokoriyama, Nara 639-1021, Japan　tel:+81-743-52-3418　Copyright © 2014 YAMATOKINGYOEN CO., LTD. allrights reserved.